Hi Beth! Tell us a little bit about yourself. 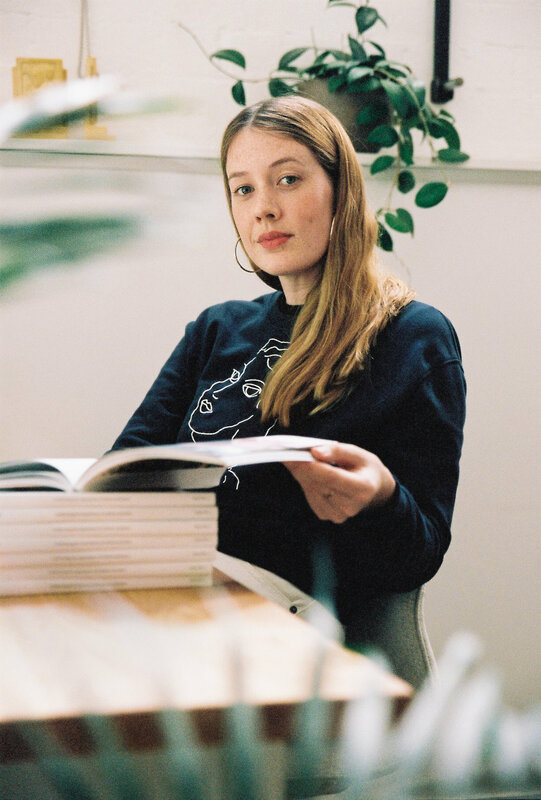 My name is Beth Wilkinson, I'm from Melbourne, Australia, and I am the founder and editor of Lindsay, a biannual print and online magazine that celebrates the importance of culture and place. I studied graphic design, but quickly became what is now known as a slashy: I've worked in publishing, the arts, design, writing, photography, communications, web etc. My first job was with frankie magazine and then I worked at Craft Victoria and the Abbotsford Convent. I also self-published a cookbook of family recipes a couple of years ago called Pass It Down. Where did the idea for Lindsay stem from? Making a magazine is something I have always wanted to do. In the last few years, I found that I wanted to learn about the places I travelled to more intimately – learn about their history, their story, their identity. Yet I found that most editorial that is centered around place is travel-oriented. I wanted to create a publication that focused on exploring and understanding different places and cultures around the world but not necessarily in a travel context. I wanted to share stories where people could learn about other places, irrespective of whether they will ever visit them. As borders tighten and certain places around the world become increasingly homogenised, I want Lindsay to be a publication that gives people an opportunity to appreciate and celebrate difference. What drew you to creating a print publication? What's not to love about print! It's romantic and has this sense of nostalgia and slowing down. I think in this age of very fast-paced content, it's nice to spend time away from the screen and have the space to read a piece from start to finish. It's meditative and it's nourishing. Could you tell us more about the steps of funding your publication? I raised $14K through a crowd-funding campaign, and have then topped that up with my savings. To help keep everything afloat, I lease out the spare bedroom in my apartment through Airbnb and have continued to take on freelance work. I have just launched a creative studio called Oak Park, with the aim of taking on more work to sit alongside Lindsay. How do you go about planning interviews, features, and content? It's really very mixed. Sometimes I have an idea, sometimes I am researching specifically in search of something to fill a gap or a purpose or a country, and sometimes contributors pitch stories. Everything. Working with so many brilliant contributors, being able to share these important stories, putting it all together in a way where nothing is compromised. What are some of the setbacks or challenges you face with Lindsay? It can be really hard to make these projects work financially. We're not really raised to think these are the sorts of things you spend your savings on, so you have to challenge yourself constantly. I also miss working in a team where you can bounce ideas around a room, share the highs and support each other in the lows. While we've come a long way, we, as women, still have so much further to go. Sadly, strong women aren't always celebrated. We still have double standards in many ways, so it's imperative for women to support each other if we're really going to challenge the status quo. All of the women I work with and meet through Lindsay. Olga de la Iglesia's photographs bring colour to my life everyday on Instagram, Yumna Al-Arashi wrote a deeply personal piece for our first issue, and Olivia Dennis has penned so many spectacular pieces for Lindsay since day dot. My mum is also an exceptionally creative and inspiring woman. I'm so lucky to be surrounded by creative women daily; its energising. This sounds really daggy and clichéd, but you should never set your own limitations. So often we don't contact someone or try something for our fear of rejection. While people may not always say yes, or projects may not always come to fruition, let someone else make that call, not you. I am a massive nerd. I have giant spreadsheets, am all over Google Docs and Sheets and love Trello. I also have a few books, which have become my self-publishing bibles: So You Want to Publish a Magazine, Independent by Jeremy Leslie and I've just bough Pages. I listen to Monocle’s The Stack whenever I'm walking to a meeting and The Elements of Style is a trusted friend. I try to answer emails first thing in the morning and then I work through my list. I learnt this method through a business blog, and while it's very simple, I love it: write down six things you need to do in order of priority and work from one to six. If you get down to six, you write your next six, and whatever is leftover from that day has to be the start of the list for the next day. It certainly prevents procrastinating. I try to think of all those stories about brilliant writers, film makers, social activists etc who were rejected so many times before their great successes. Rejection is part of the process. When you do things like this you almost need to be comfortable with the feeling of fear or self-doubt, because as long as you keep pushing yourself further than you think you can go, you will always have those feelings. Resilience. And how to manage international self-distribution. What are some of your favorite places in Melbourne? Heide Museum to get out of the city, Allpress cafe for a coffee, Minanoie for lunch, the Fitzroy Gardens for a walk with my dog, and Nova for a film.